Disaster Relief Trials Portland is in the books! What a lovely, slightly damp day we had yesterday. Thank-you to the 45 cargo-hauling cyclists who showed up to test themselves and to prove a point: a neighborhood with a cargo bike is a neighborhood with resilience. 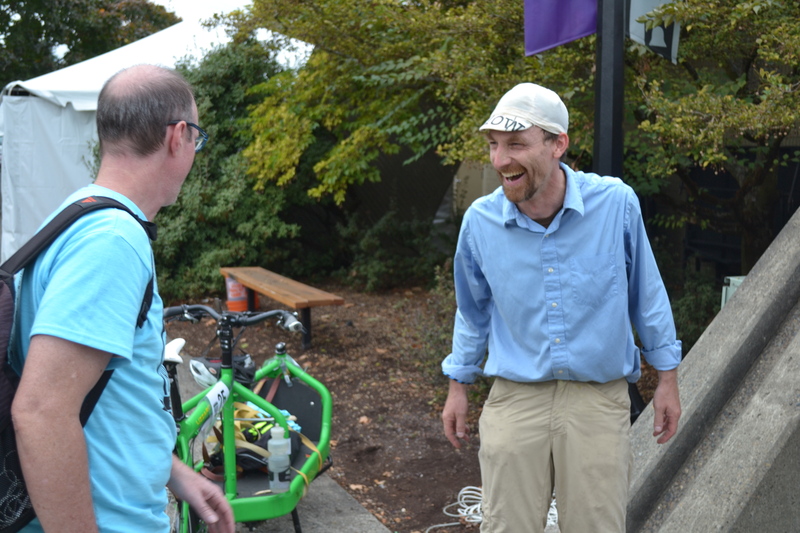 Thank-you Jonathan Maus for the excellent BikePortland coverage. Josh Volk, the individual Responder of the day, turned in a scorching time of 3 hours 31 minutes. Here he is recounting the day with Bill Stites. Over 30 miles of navigation (complete with rough terrain and barriers), over 100 pounds of relief supplies collected and delivered. Josh’s back is a little sore. For the final times go to our Google Sheet!